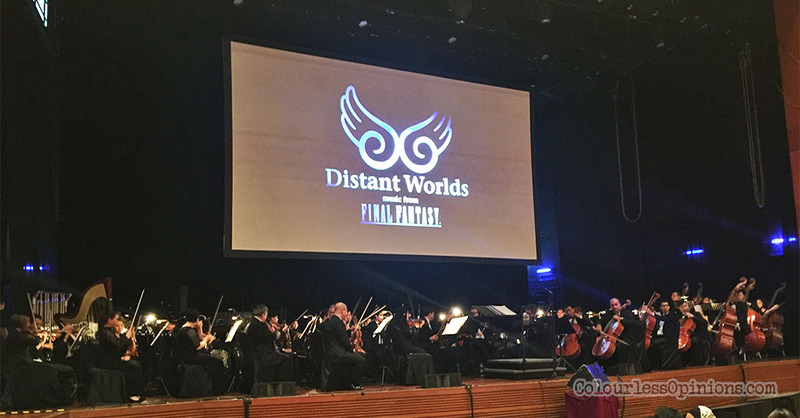 Distant Worlds: music from Final Fantasy live symphony concert premiered in Malaysia back in 2012, which was one of the most moving experiences I’ve ever had, and their last show before this was back in 2014, which I wasn’t able to attend despite having bought a ticket. I had since been eagerly waiting for it to come back and suddenly after three long years of wait, an organiser called Creon Asia abruptly announced that Distant Worlds was coming for a single performance on Deepavali day (October 18th) at Plenary Hall, Kuala Lumpur Convention Centre (KLCC). Although the tickets were very pricey, I purchased mine as soon as the sale was launched. 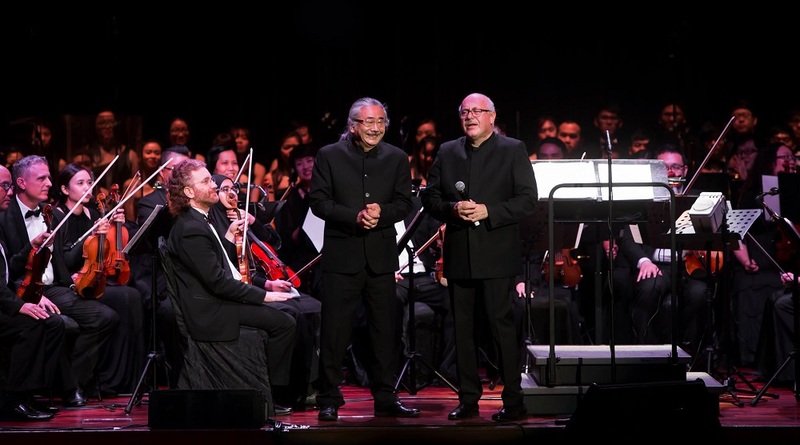 Grammy-winning music director Arnie Roth was the conductor as always performing with Malaysia’s very own National Symphony Orchestra (OSK) and the Dithyrambic Singers (choir). But the show’s quite different than before as it was the Final Fantasy Jiritsu / 30th Anniversary edition and this year’s also the 10th anniversary of Distant Worlds itself. The setlist had many songs and arrangements I hadn’t heard live. I was absolutely pleased that five of them were from FFVII — my favourite RPG and video game soundtrack of all time. The Opening ~ Bombing Mission number was performed with footage from the remake’s teaser shown. I think it would’ve been more nostalgic if the whole video was from the original instead. I was in tears at the end of Cosmo Canyon when the screen was showing the scene where Red XIII learns the truth about his father’s disappearance. Ah, that alone made me feel like revisiting the game for like the sixth time. To be honest, I wasn’t engaged at all when they were performing songs from FFXII, FFXIII and FFXIV — ’cause I didn’t really play or like them. Fortunately only a number from each of these instalments were performed. There were two songs from the latest main title, FFXV. If there was one thing about FFXV that I can confidently say is great, it’s the music composed by Yoko Shimomura. The instrumental version of Somnus was performed with Roth himself on the violin. I think many would’ve preferred the version with lead vocals. That would’ve been more impactful. FFVIII‘s The Oath was on Distant Worlds’ setlist for the first time but I personally don’t feel that it’s a memorable track from that instalment. Before writing this post, I thought the setlist had lesser songs than 2012’s but it actually had the same amount — 21 numbers including the very brief Victory Theme. Time must have passed by very quickly to me (you’d understand why if you read till the end). When Roth told the audience that they had come to the end of the show, I was disappointed assuming that they weren’t going to perform Opera Maria and Draco but that’s exactly what they played before the encore. That epic piece from FFVI is one of my favourite FF tracks of all time and I’m very glad to see it performed live again. Without waiting for the audience to chant for encore, Roth came back to the conductor’s podium instantaneously after walking off and conducted the song that I was hoping to hear and thought that they wouldn’t play this time — Aerith’s Theme. That got me teared up again. The performance of the orchestra was good in overall despite sounding slightly off at certain parts of certain songs. I think it was mostly the timing, perhaps. I wonder why they didn’t work with the more experienced Malaysian Philharmonic Orchestra (MPO) again this time. I believe the previous venue, Dewan Filharmonik Petronas, might’ve been better too. Why the changes? The choir sounded great. It’s the same local choir from the last two occasions. The three vocalists who sang Opera Maria and Draco were fantastic as well (sorry, can’t recall their names). I would’ve liked to see one more song with lead vocals like Eyes on Me, which I haven’t seen performed live. Nonetheless, this concert was particularly special and would probably remain my most memorable Distant Worlds experience ever because the franchise’s legendary composer himself, Nobuo Uematsu, was present for the first time ever in Malaysia and he sat like right behind me for the entire show (well, to be exact, he was behind the guy who’s sitting beside me). This man pretty much wrote the soundtrack, the symphonies of my childhood, if you will, so you can imagine how incredible I must have felt and it was a total surprise as I wasn’t expect him to be seated with the audience at all. Some of the key people from Square Enix and FFXV lead game designer Wan Hazmer were present as well and they were seated behind me too. And these seats weren’t even in the most expensive category. Every friend of mine who was there got their tickets for free (in exchange for a last minute blogging/social influencer job to promote the show as the tickets weren’t sold out like the previous two times) while I purchased mine for RM464 (early bird price). I was initially kind of bitter that these lucky fellas didn’t even have pay for it but now, I think I was pretty lucky too. When I turned round to applaud and smile at Nobuo, he smiled and nodded back at me. This little moment alone was priceless. I was over the moon and pleasantly distracted during the whole show knowing that he could see and hear how I react to every song. I didn’t get to take a photo of him ’cause I didn’t want to be disrespectful to him or the performers. Besides, the rules specifically forbids photography and video recording during the concert. But it’s okay. I’ll be at his meet and greet session in December when he comes here again to perform with his own band — Earthbound Papas. Predictably, One-Winged Angel was the second encore number and the very last song of the concert — many would feel that it’s perhaps time to change it to another song but on this occasion, it’s more meaningful ’cause Nobuo himself went on stage to sing along with the choir and audience — SEPHIROTH! Roth, Nobuo and the performers bowed out to a standing ovation.